Japanese Culture: After the Bubble: Why haven't the Japanese bounced back? 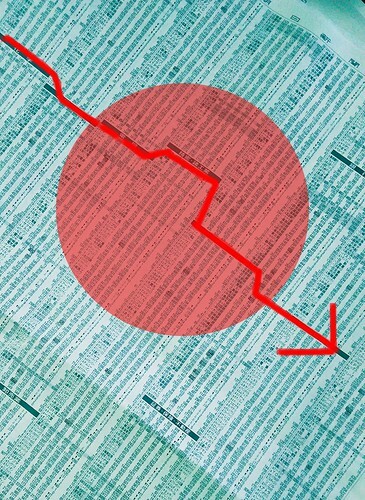 After the Bubble: Why haven't the Japanese bounced back? Western meritocracy based management styles arrived at about the time as the economic bubble burst, in the early nineties (Myung T. S., 2013) with a view to curing the post bubble depression. Till then the Japanese had imported Western technological expertise but had employed it with the vigour and enthusiasm of the Japanese soul (wakonyousai 和魂洋才) or psychology. These Western methods of ability and performance evaluation are destroying the non logocentric (non-linguistically-formulated, non-codified, non-rational) company culture that made Japanese companies great. The Japanese salarymen in newly meritocratic companies are like the think aloud group in Heejung Kim’s brilliant (2002) "We Talk therefore We Think," experiment in which the problem solving ability of East Asians was reduced. Linguistic self-appraisal is at variance to the lived autoscopic (Heine, Takemoto, Moskalenko, Lasaleta, & Henrich, 2008; Takemoto, T., 2003) tradition, and so results in a sort of double bind, that just wears the Japanese down. Till then Japanese companies codified and evaluated their employees in different ways (De Mente, 1990). It was not that Japanese companies were completely without performance objectives but that they were not put into words. Not all employees were deemed fit to keep rising through the ranks (nekoujouretsu 年功上列). Some employees were sent out into the sticks (sasen 左遷) or left by the window (madogiwazoku 窓際族) if they did not put in the graft. But employees were not graded according to their TOEIC score or their sales gross. Rather than encouraging everyone to merge with and assess themselves according to the linguistically defined company objectives, it was recognised that that a plurality of person types, achievers, the able, and facilitators, go to make a good company team (Yuki, 2003). Places like Toyota with enough strength of tradition call paperwork (shiryou 資料) quantum of death (shiryou 死量) (Wakamatsu, 2007) but I fear they'll all go down the tubes, like Mitsubishi, eventually with the big now governmental push for linguistic quantisation, standards and objectives. To take an analogy from Japanese mythology I could say that the mirror of the Sun Goddess is being hidden by the whispering of flies, but that would make it sound all too arcane and mystical. There is nothing particularly arcane or mystical about the way in which the Japanese did business. The Japanese did business like tennis players play tennis. If you ask a tennis player how come they do such a great serve they will become worse at it due to the additional cognitive load of having to describe the motion of their racket (Eagleman, 2012, p. 74). Likewise if you are designing a beautiful car then you don't want to mess around with paperwork and checkboxes. It would take a long time before the Japanese are reborn as whisperers who like to listen to themselves think (Derrida, 1998), so I fear they have a long way down to go. It is all very logical but very sad. Other than Derrida and Luther their are few critics of reason, and it may even be possible for subalterns (Spivak, Nelson, & Grossberg, 1988) to criticise, so what can they do? And now alas with all their money printing, which is perhaps the whispering on a global economic scale, the Japanese may have entered into a very unfortunate type of pact. But I live in hope. What can be done? Perhaps Toyota managers need to become politicians. Perhaps as Uichol KIm has argued, there could be increases in literal transparency in terms of open-plan offices, glass doors, visitation, the publication of results in photographic and "signage" (kanban 看板) form. It could also be argued that the Japanese need to alert to themselves once again, to the dangers of printing money and praising the self. At the psychological level these are low self esteem or 'outgroup discrimination' (Tajfel & Turner, 1979). At a geopolitical level I fear these may translate into inflation or military conflict. De Mente, B. (1990). Japan’s Secret Weapon: The Kata Factor : The Cultural Programming That Made the Japanese a Superior People (1st ed.). Phoenix Books. Eagleman, D. (2012). Incognito: The Secret Lives of the Brain (Reprint edition). New York: Vintage. Spivak, G. C., Nelson, C., & Grossberg, L. (1988). Can the Subaltern speak. In Marxism and the Interpretation of Culture (pp. 271–313). 若松義人. (2007). トヨタの上司は現場で何を伝えているのか. Tōkyō: PHP研究所. Takemoto, T. (2016) ジマンガー日本人の心像的自尊心の測定の試みー. in preparation.